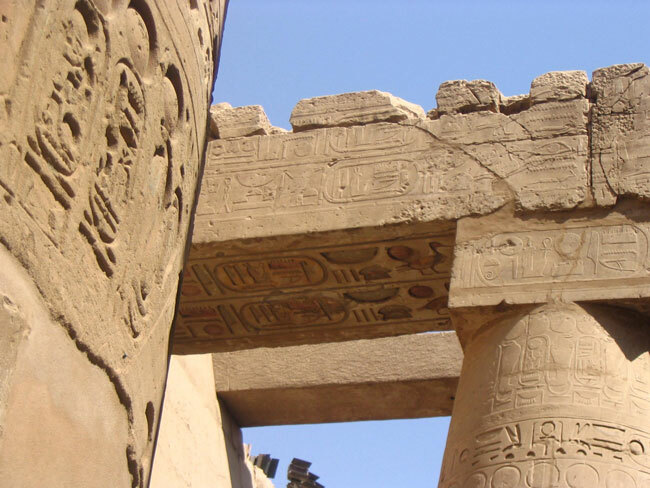 Explore the beauty of Nile valley one more time and discover many different highlights and great monuments in Luxor & Aswan like Calabsha temple, Valley of the queens or Medinet Habu temple. 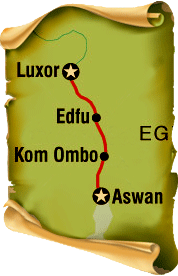 (if included) and assist you through the customs. was the secret and sacred sight where the ancient Egyptian pharaohs of the new kingdom period were buried. The originally painted tombs were cut in the bottom of the mount and beautifully painted with the afterlife subject. After the royal valley you drive to the next sight where you can visit the funeral temple of the most famous female pharaoh, queen Hatshepsut (3500 years old). The unique Architecture of the terrace temple will keep its picture in your mind for ever. 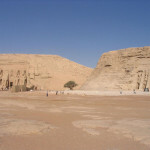 On your way back to the Nile cruise you should stop to visit the colossus of Memenoun (3400 years old). The two huge statues of Amenhotep III were guarding his great temple which was demolished by the thousands of years. 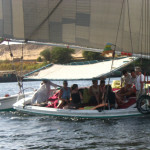 - After having lunch on the cruise it will start sailing to the south towards Aswan. 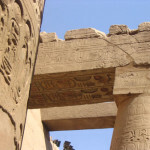 - Around 7:30 am you join your tour guide by horse-carriage to visit the complete temple of Egypt which was dedicated to one of the most important gods of Ancient Egypt. The temple of Horus in Edfu (2200 years old) was mainly covered under the ground that is why it still keeps almost all of its fine details. The cruise will sail further until reaching the double temple of Kom Ombo (2200 years old) which was dedicated to 2 brother gods. The temple is famous for its unique relief which you find them no where else. 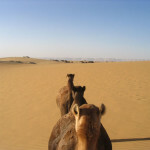 - Around 9:00 am you join your guide to visit the highlights of Aswan city. You start with the great modern wonder of Egypt. The high dam (since 1971) was built in 10 years and used for the first time in 1971. You will be able to stand on the top of it where you can compare the big deference of water levels at the front and back of the dam. Then you drive to Philea island where you will visit the temple of Isis. You will get your first look at the temple out of your motor boat. On the philea island you will be amazed once by the fine beautiful relief of the temple and its stories and once by the marvelous nature surrounding. 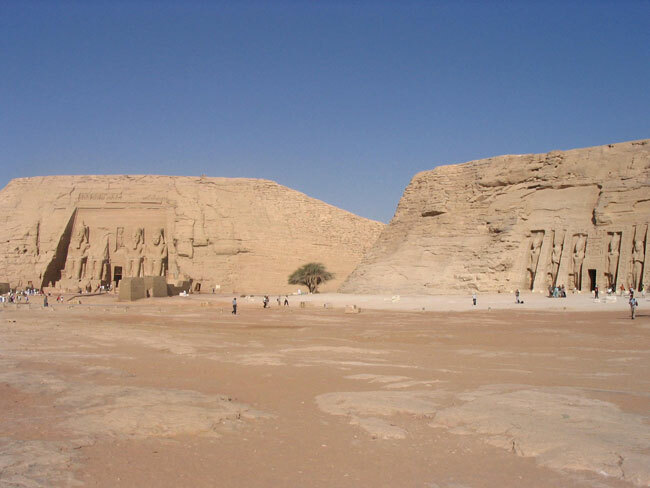 On your way back to the cruise you will also visit the ancient quarry where you could learn how did the ancient Egyptian cut and move the heavy stones of many monuments. - Today is a free day to relaxing or you can join the optional excursion to one of the most important monuments of Egypt. 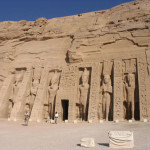 The great rock-cut temple of Abu Simbel. The 2 temples of Ramses II and his wife Nefertari were cut inside the sandstone mountain at the edge of the Nile river and dedicated to the god Ra-hor-akhti and goddess Hathor. The 4 giant colossuses of Ramses II (20 meter high) forming the faÃ§ade of the large temple and the statues of Ramses II and his wife forming the faÃ§ade of the small temple. 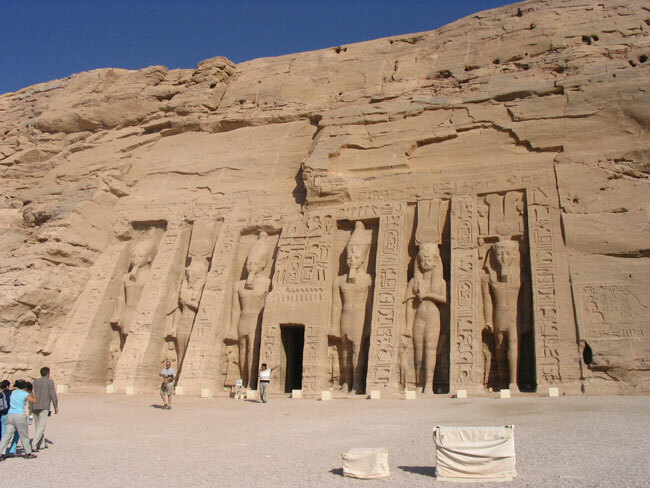 The temples of Abu Simbel are absolutely a must-visit sight. 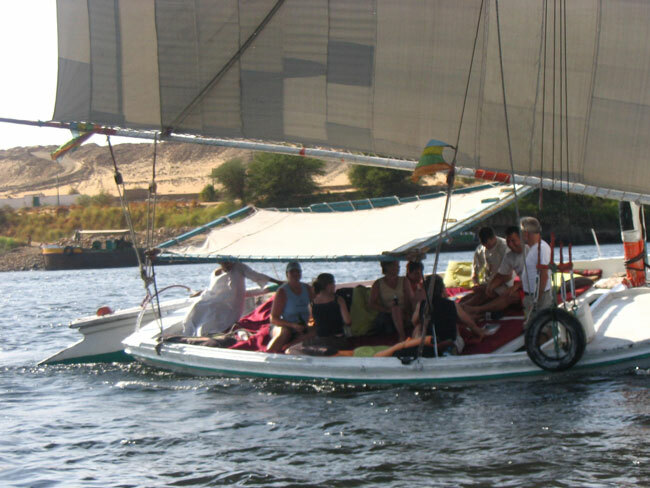 - In the afternoon your cruise will start hitting back to Luxor. You reach the double temple of Kom Ombo with the sunset. In case that you did not visit the temple on your way from Luxor to Aswan, you still have the chance. 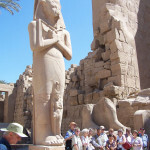 - Around 9:00 am you join your guide to visit the 2 temples of the East Bank of Luxor. Karank temple (Since 4000 years) is known as the largest religious contracture ever built on earth. The temple was used and constructed since middle kingdom period until the end of new kingdom (Around 2000 years) that is why it is counted as the open book of this period. All the pharaohs of the same period left their names there. 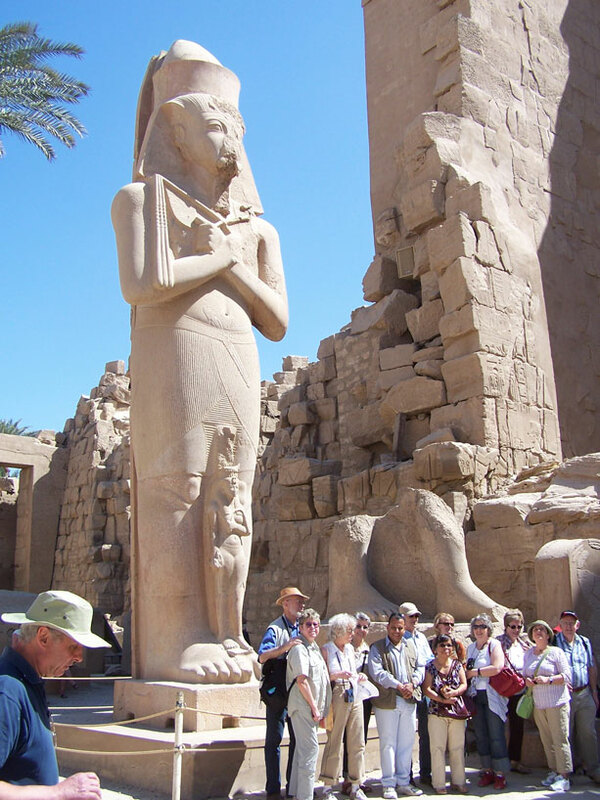 You can spend a complete day exploring all corners of Karnak but you have to save also time to visit the temple of Luxor which was connected to Karnak temple by 3 km sphinx way. Luxor temple was also dedicated to the same principal god of ancient Egypt, Amoun Raa and it is famous with its obelisk and huge statuses. .. All included sightseeing excursions with a licensed English speaking guide (Egyptologist), air-conditioned transport and monuments main entrance fees. - Kom Ombo temple - Philea temple - High dam - unfinisghed obelisk.